General: River Berry Farm is a family owned organic small fruit and vegetable farm operating on the Lamoille River in Fairfax, Vermont since 1992. We are Jane Sorensen, David Marchant and our two children, Huck and Ada, along with our farm crew of 8 -10 seasonal employees. We grow 50 acres of organic vegetables, 3 acres of strawberries, 1-1/2acre of organic raspberries and 18,000 square feet of greenhouse. 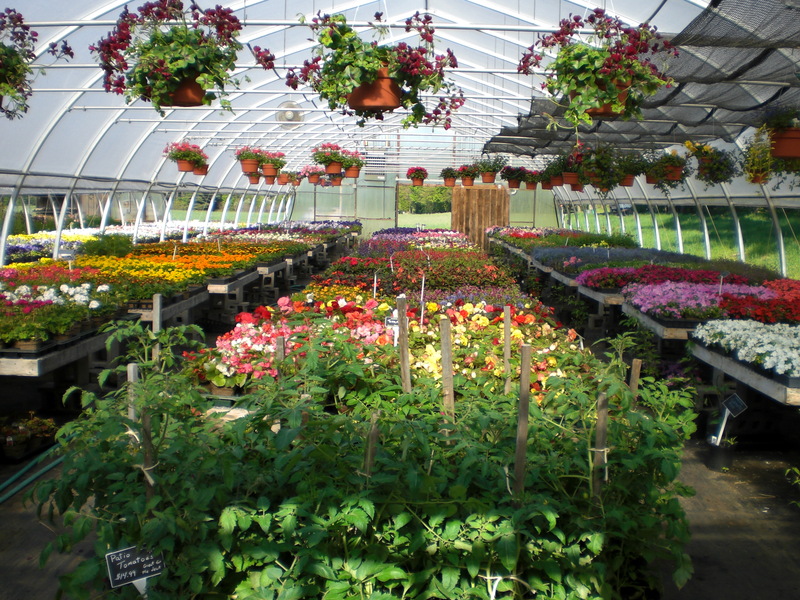 Bedding Plants: The greenhouse opens May 1st with annual and perennial flower transplants and organic vegetable and herb transplants ready to be planted in your garden along with hanging baskets, organic potting mix, fruit and flowering shrubs. Jane is developing a supply of pollinator friendly garden-worthy perennials and lawn-alternative plants including both native and cultivar varieties. A trip to the greenhouse in early May is quite a breath of spring. Organic Strawberries and Raspberries: Our berries are grown using organic and Integrated Pest Management (IPM), practices that help protect you and the environment. 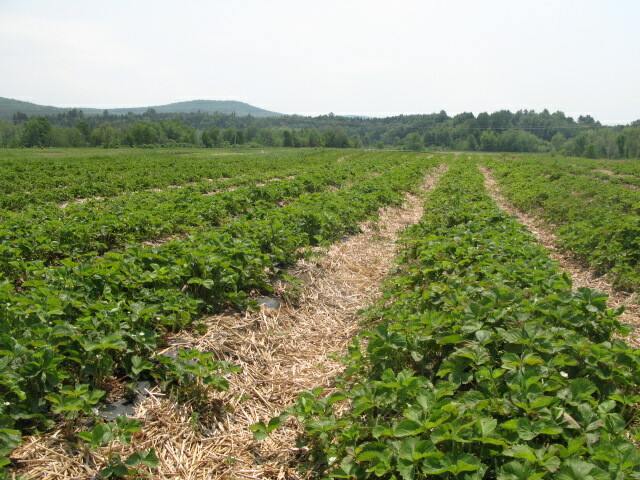 The organic strawberries are available as pick-your-own and pre-picked starting about the third week in June through the first week in July. Organic fall-bearing raspberries mid-August through September. We love the serendipitous meeting of neighbors in the patch. 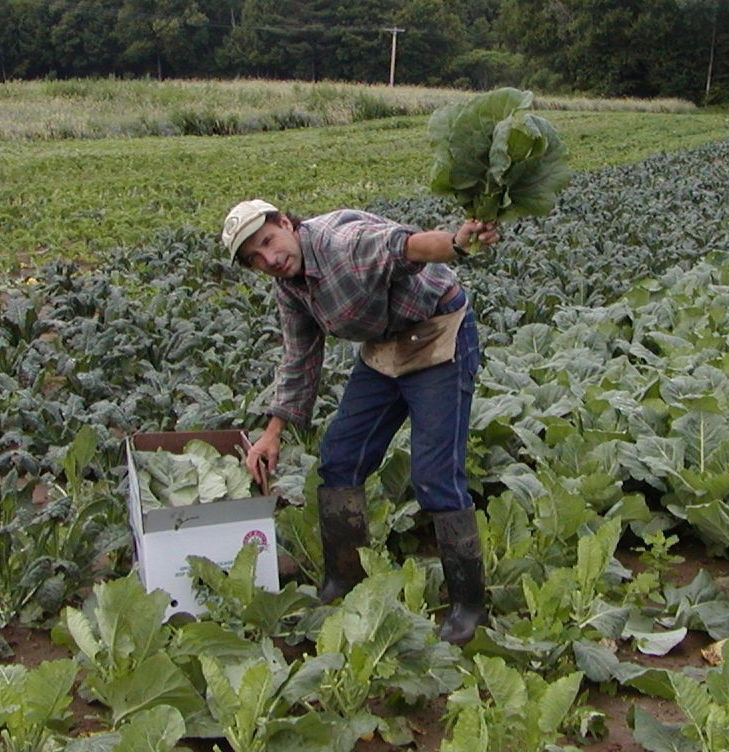 Organic Vegetables: We grow a diversity of organic vegetables that become available at our farm stand as they ripen. 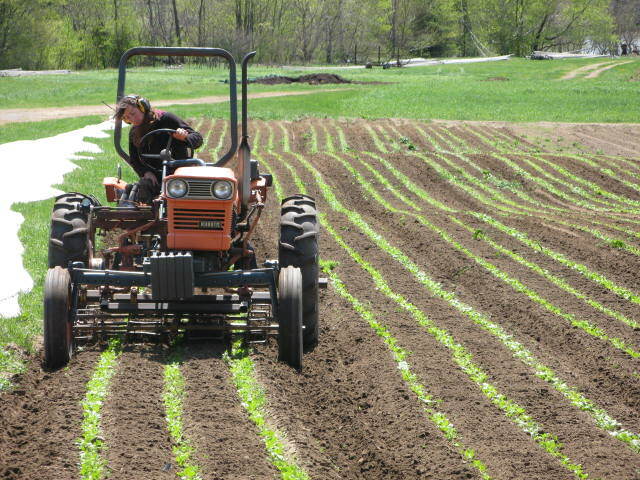 We use many season extension techniques such as transplanting, row covers and greenhouses to get the produce to you as early and for as long as we can.